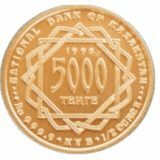 KOKPAR is a national horse sports game where dexterity, strength, courage and daring of participants are tested. 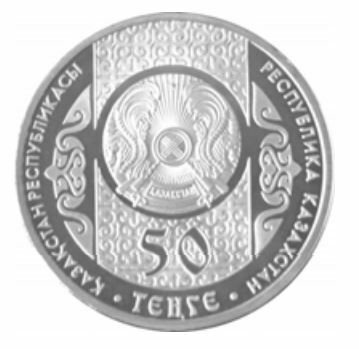 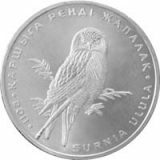 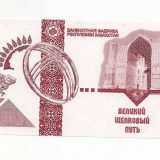 Obverse: State Emblem of the Republic of Kazakhstan against ornamental background; face value of the coin «50» and inscription «TENGE» at lower sector; inscriptions «REPUBLIC OF KAZAKHSTAN» in Russian and Kazakh along the circumferences; protruding edge along the circumference. 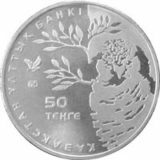 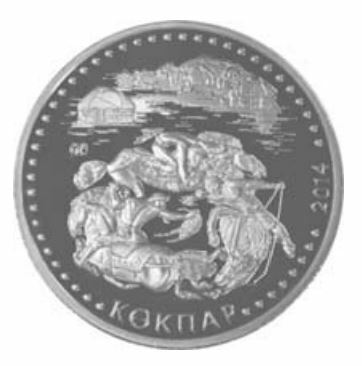 Reverse: an episode of the national horse game «Kokpar» against the image of aul (the traditional settlement of rural type) is imprinted; inscriptions «KOKPAR» in state language and «2014» along the circumference which means year of coinage; protruding edge along the circumference.